WHEN: Saturday, May 18, 2013 Registration be gins at 6 am; Race begins at 7 am. Packet pick – up is Friday, May 17 from 9 a.m. to 6:30p.m. Las Vegas, NV ( March, 28 , 201 3 ) – Lace up your running shoes and come run with Ronald McDonald at the 9th annual Runnin’ for the House 5K Run and 1 Mile Walk on Saturday, May 18. “ We look forward to connecting with our community through our annual run and walk ,” said Alyson McCarthy, Executive Director of RMHC of Greater Las Vegas. “We’re excited to have activities for the whole family plus a free pancake breakfast for run registrants. This is a fun way for families and groups to raise money for a great cause, while exercising and having a good time. ”Ronald McDonald himself will do a fun pre – race warm – up at 6:45am and start the race at 7 am with Chet Buchanan from 98.5 KLUC. Jesus “Half Animal” Villa, a professional acrobat, performer and five – time Guinness Book of World Records holder, will perform and walk 1 mile on stilts. The event also features timing by Top Gun Timing; overall male and female awards 3 deep in each age division; event t – shirts; and goodie bags to the first 300 registered participants at packet pick – up on Friday, May 17th. Event registration costs range from $20 to $25 p er person depending on age division. Three registration categories are available: 5K Competitive (timed), 5K Non – Competitive (untimed) , and 1 mile walk. 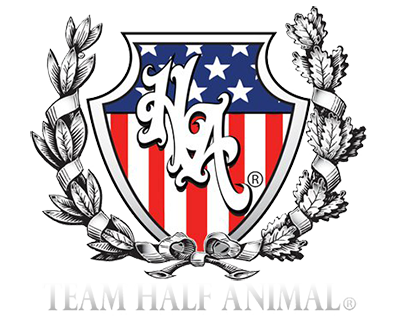 For competitive runners, the 5k course is certified by USA Track & Field. Discounts are available for teams of ten or more. Packet pick – up is on Friday, May 17 from 9:00 a.m. to 6:30 p.m., or 6:00am the day of the event. Participants who wait until the day of the event to register will pay a $40 registration fee for all races. Don’t want to get out of bed that early? Donate your entry fee to provide a warm bed for a family staying at the Ronald McDonald House! Runnin’ for the House 2013 is presented by McDonald’s of Greater Las Vegas and supported by KVVU Fox 5, KLUC 98.5 FM, Lexus of Las Vegas, Southwest Gas, and The Private Bank by Nevada State Bank. Proceeds from Runnin’ for the House benefit RMHC of Greater Las Vegas, a non – profit, 501(c) (3) organization that provides temporary housing for families who travel to Las Vegas to receive m edical treatment for their children . RMHC of Greater Las Vegas also supports programs that directly benefit children and f amilies in the Las Vegas area through grants, scholarships, and community outreach projects. For more information and to register visit www.rmhlv.org or call (702) 252-4663. Half Animal news and videos can be found on www.halfanimal.com, www.facebook.com/teamhalfanimal, and Twitter @HalfAnimal. Jesus “Half Animal” Villa, founder of Team Half Animal and Creative Assistant Director to legendary fashion photographer David LaChapelle, has been performing professionally as an acrobat for over ten years. Past achievements include performing over 5,000 shows with Cirque du Soleil (La Nouba, Zumanity), obtaining five Guinness World Records, and choreographing for the Beijing 2008 Olympic Games closing ceremonies. He has been featured on A&E with Criss Angel, on “The Winter Olympic Pre-Show” as well as in numerous campaigns for Ed Hardy, Von Dutch, H&M, Motorola, Nokia, and Infiniti Comcast. On top of gracing the covers of magazines such as The London Times, Photo magazine, and Show Biz magazine, he has also shared the stage with some of today’s biggest stars, including Sean “P. Diddy” Combs, Usher, Jennifer Lopez, Busta Rhymes, Gwen Stefani, Deborah Cox, Lil Jon, Tony Hawk, Daddy Yankee, and Elton John. His most recent work includes the choreography for Comcast 3D’s international campaign, a performance in Qatar for Stars of Science that aired in 13 different countries, the stunt/choreography for Super Cr3w’s performance at America’s Best Dance Crew season 6 finale, and a performance in Howie Mandel’s Mobbed series. 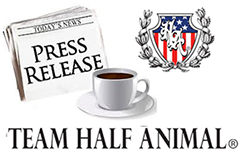 With exhilarating performances, the members of Team Half Animal send a positive message, mainly proving that anything is possible with hard work and dedication. They offer performances, motivational speeches, and special appearances that have impacted audiences all around and have received the support of media, celebrities, and industry alike. Hyperbaric oxygen therapy is a medical treatment administered by delivering 100 percent oxygen at pressures greater than atmospheric (sea level) pressure to a patient in an enclosed chamber.